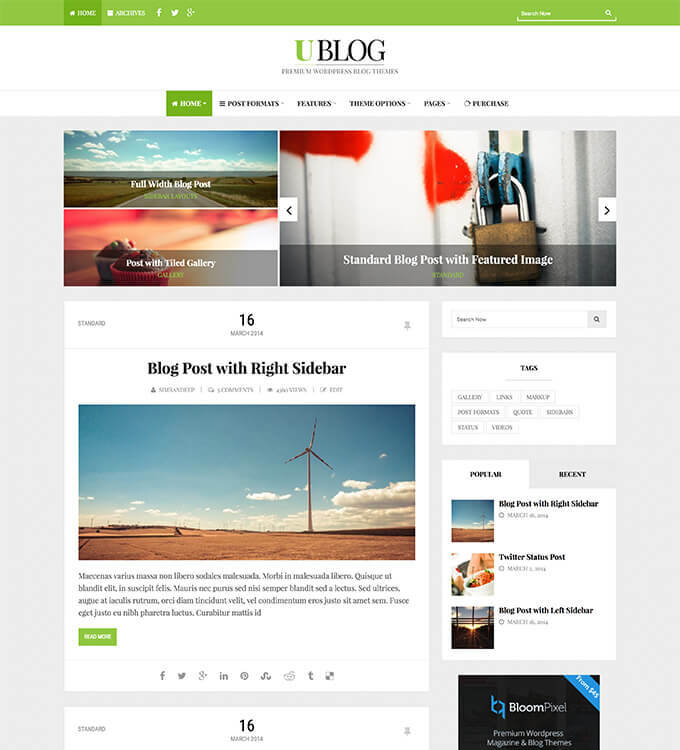 UBlog can be fully customized with many styling options, lots of layouts and typography options. This theme also supports self hosted audio and video. Twitter and Facebook updates can also be easily shared in posts.